Ellie inherited the rogue gene from her father. 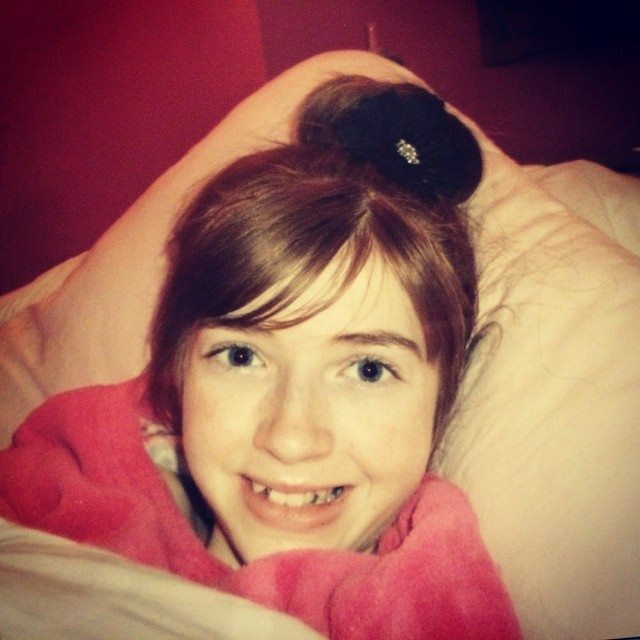 Ellie-Mae was out going lively social butterfly now her body wracked with spasms cause her to scream out, can’t walk talk, double incontinent,16, bravely fought rare genetic condition more than two years with dignity an infectious smile won over everyone. She passed away surrounded by loving family early yesterday morning. Grief-stricken parents Sam and Richard Carter Facebook: “Goodnight god bless Ellie-Mae Morgan our brave warrior your free to walk again”. Countless tributes from devastated friends and even strangers poured in social media. 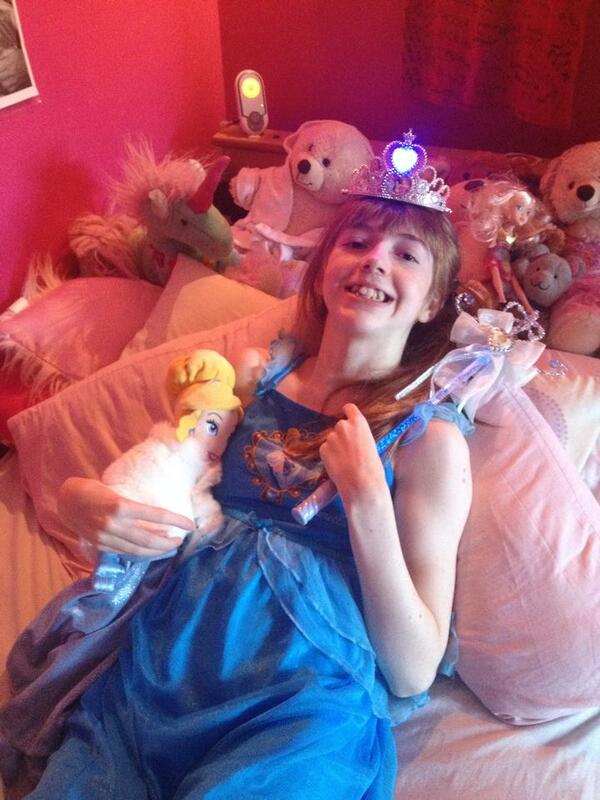 Ellie-Mae diagnosed with the hereditary disorder in March 2012. Drs originally gave her life expectancy five and 10 years, her condition quickly deteriorated.HD damages nerves in brain it gradually robbed Ellie of speech and mobility. Ellie was popular pupil High Tunstall College of Science where she attended until she was too ill “Ellie has always will be a part of High Tunstall family. “She was brave strong young lady, a true fighter who could light up any room” “The sky about has received another angel a fighter to the end thoughts are with your family Rip Ellie-Mae Morgan shine bright like a diamond.”Kristina Hartley Fb “Although we only met you a few years ago. You are such a beautiful soul. And that’s the part of you that will go on forever. Your smile infectious you shouldn’t of had to go through all that pain at such young age. My heart goes out to your entire family.” “We are so blessed to have had such a wonderful person in our lives! In our hearts forever always, sleep tight angel, love you always”. Ellie’s family spoke about her brave struggle to raise awareness of disease. Kind-hearted supporters raised over £1,000 to buy Ellie home hydrotherapy pool help ease painful muscle spasms. Mum Sam & Richard, 36, married sooner last year so Ellie could be part of the memorable day. At the families request an item of pink clothing may be worn. “Pain free at last”. Her favorite color, Pink! 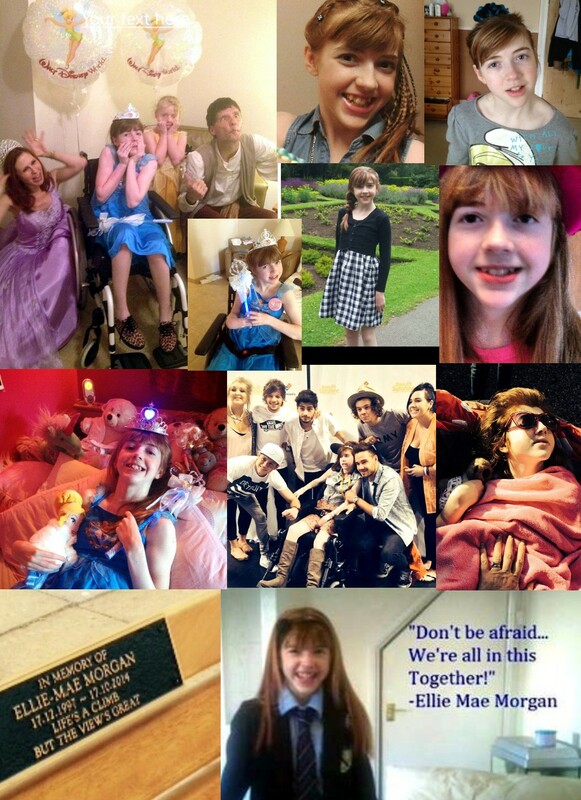 Her fave pop group One Direction, her most favorite thing was her family she was loved by so many. 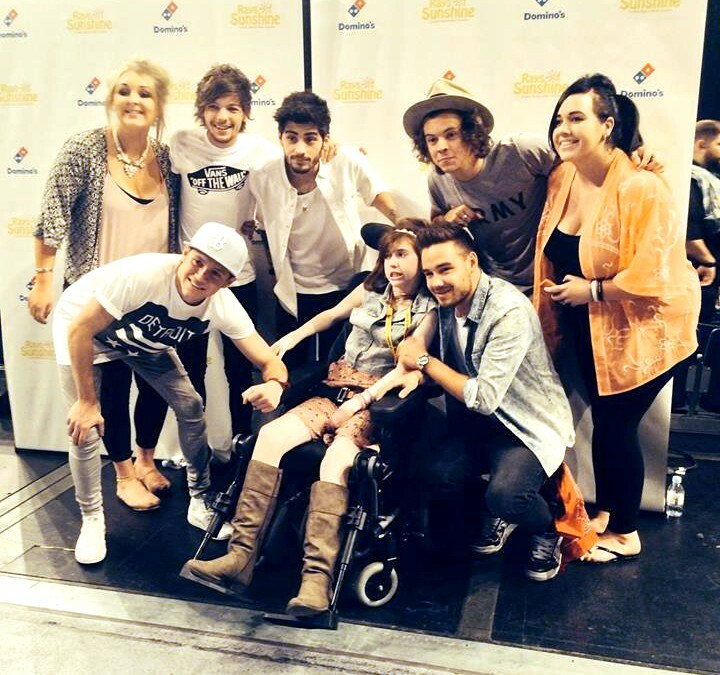 June she got to meet One Direction at Wembley Stadium Ellie-Mae cheekily proposed marriage to Liam Payne. Liam said he was available and would hire Buckingham Palace.